As the Swoosh Brand has called upon the zebra, tiger, and leopard as inspiration for the three other colorways in their animal kingdom-inspired Vapormax pack, it would be safe to assume that the fourth member of the colorful collection would feature a wild pattern or print of some sorts. 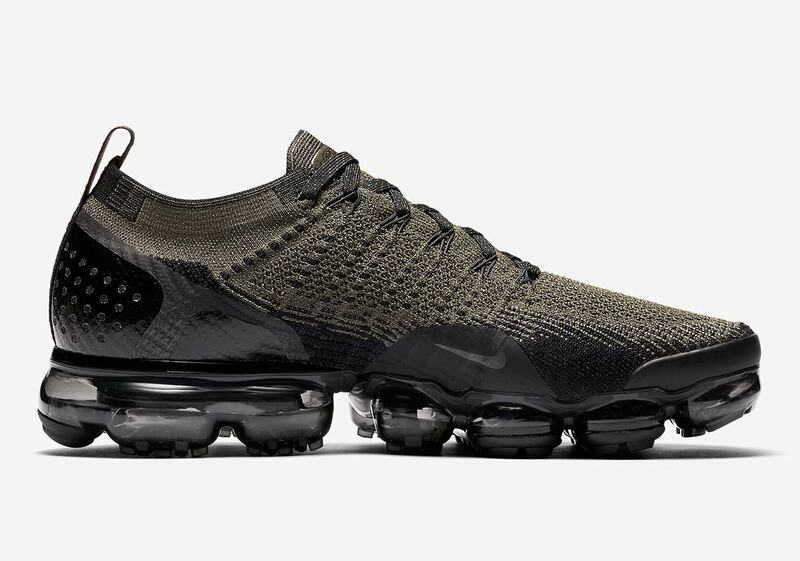 However, the “Crocodile” Vapormax 2.0s break from the trend: they opt for a silent but deadly look, much like the dangerous apex predator itself. 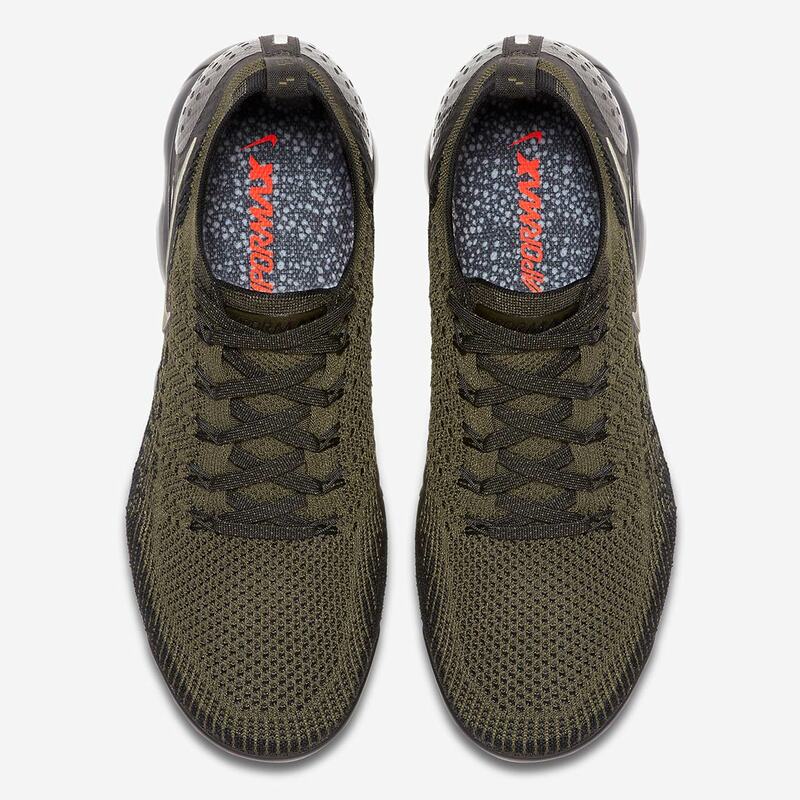 The Flyknit upper offers a combination of military-style “Cargo” and black, while a reflective “Cargo” colored Swoosh — a possible nod to the creature’s glowing eyes, highly visible at night — offers a touch of low-light detail. 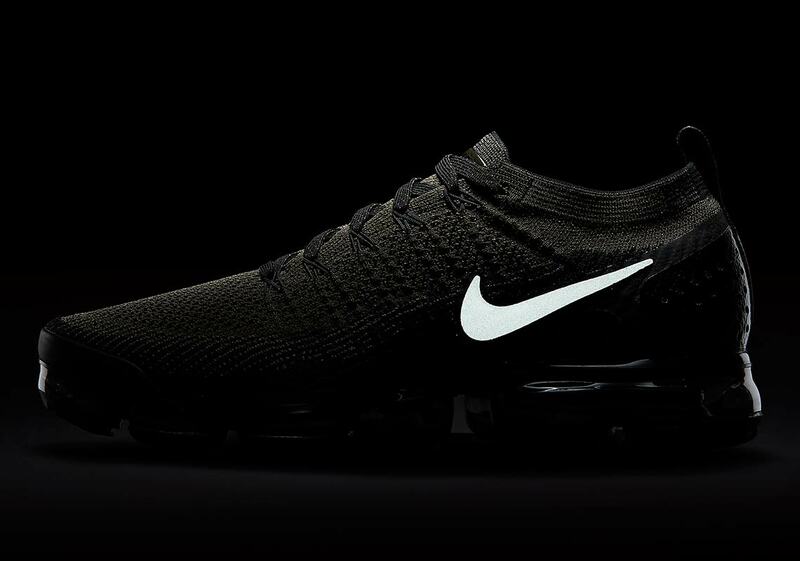 A sleek glossy black carbon fiber appears on the heel cage, and the shoe is completed by a smoky black Vapormax cushioning unit. 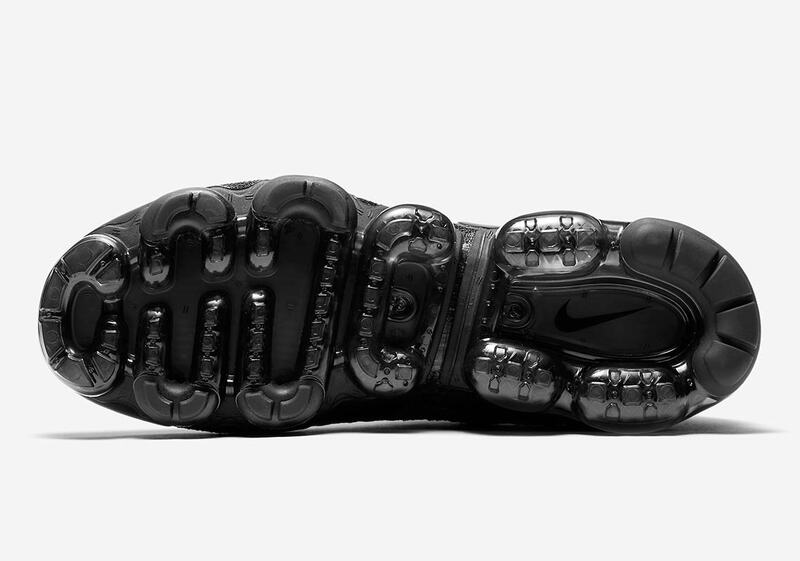 If you’re champing at the bit to get your crocodile on this Fall, these special Air Max are dropping October 26th at the retailers listed below for a premium price of $210 USD. 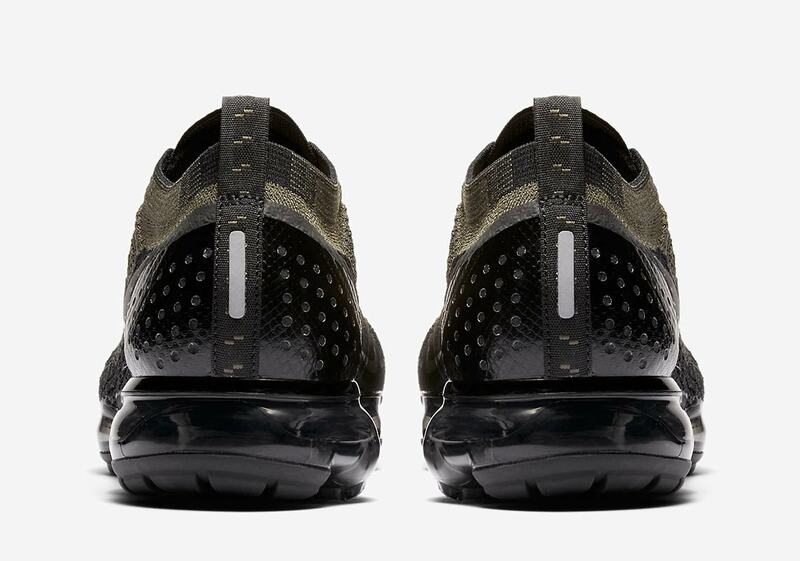 The post Nike Vapormax Flyknit 2.0 “Crocodile” Releases On October 26th appeared first on Sneaker News.